Better Cleaning Company prides itself with the excellent one time cleaning service it delivers to the citizens and organizations in the area. Our one off cleaners Greenwich SE work in accordance to the senior management enforced quality & safety procedures. Our expert cleaning services company makes sure its cleaning technicians carry out the prerequisites and always provide you with a high quality builders and spring cleaning services. The experts will bring lots of experience with them. This, along with a checklist approach means they get lots done during the cleaning, and always give you the high quality you deserve. For your protection, all technicians are reference-vetted, ID verified and interviewed before they start working with the clients and of course your service is covered by complete insurance. We are all prepared and outfitted with contemporary pro cleaning machines, tools and safe solutions and are completely ready to provide to all of our community private and commercial clients with an efficient spring cleaning Greenwich SE service. 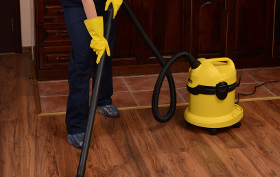 Our one time cleaning service will get very popular before and then for the duration of the spring season. You can hire us for as many hours as you need and can choose the washing work you want executed from our in depth cleaning checklist. Get A Free Offer & Get One Off Cleaning Right Now! Our one off cleaning Greenwich SE company had made a very powerful system for easy reservations. You can easily make contact with our 24/7 customer hotline via phone 020 3746 3201 or via our online booking form to receive our service every single day. We offer top-rated cleaning at fair prices. No downpayment is needed. If you mix more than 1 of our services in the same time, we will lower the price tag of any additional service by up to 15%.